Passed away peacefully at the Health Sciences Centre on December 3 at the age of 82. Predeceased by her parents Harvey and Bessie Roberts of Twillingate, brother Hubert of Twillingate, and in-laws Cyril and Lucy Brown of Trinity, Bonavista Bay. Leaving with precious memories her beloved husband of 65 years Cator Brown, sons Lorne (Terry) of Halifax, and Tony (Theresa) of Fort McMurray, special daughter Anna Roche; siblings Louise (Herbert Barnes) of Twillingate, Betty (Clarence Watkins) of Gander, Donna (Bruce Clark) of Wasaga Beach, Ontario, Albert (Lorraine) of Twillingate, Laurie (Anne) of Ontario; sisters-in-law Louise (Jim Cook) of Wasaga Beach, Ontario, and Geraldine Roberts of Twillingate, brother-in-law Art Brown (Eleanor) of Cornerbrook; grandchildren Christopher (Muriel), Jennifer (Nathan Johnston), Stephanie Brown (Blake Harris), Kevin (Cassandra), Tony Andrew (Erin); and 11 great-grandchildren, as well as a large number of nieces and nephews. Resting at Carnell’s Funeral Home, 329 Freshwater Road, St. John’s, on Wednesday, December 5 from 2-4, 7-9. Funeral service will be held from the Carnell Memorial Chapel on Thursday, December 6 at 1pm. Interment at All Saints Cemetery in Gander on Friday, December 7 at 2pm. 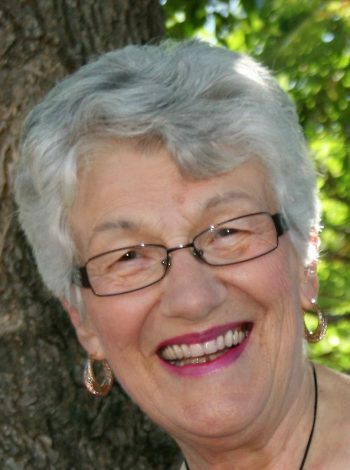 Flowers gratefully accepted or donations in Jean’s memory may be made to St. James United Church. We were shocked and saddened to just hear of Jean’s passing. We don’t know any details. We pray God’s grace will sustain you through the coming weeks, hopefully the many wonderful memories you shared will give you lots of comfort. Our thoughts and prayers will be with you. So sorry to hear of Jean’s passing. We have fond memories of you both, especially when you lived in Shoal Harbour. Our thoughts are with all of the family at this sad time. We hope you all find comfort in your many special memories, sending big hugs to everyone. My sincere condolences on the loss of your dear wife, mother, grandmother, and mother in law. Jean was a special lady and will be missed. Our thoughts are with you all. So sorry to hear of Jean’s passing. Wish we were closer to share in the celebration of her life. Our thoughts and prayers are with the family at this time. She will be missed by many. We are so sad to hear of Jean’s passing. She was always so pleasant and cheerful. Our thoughts and prayers are with you at this difficult time. May God bless you. Sorry to hear of Aunt Jean’s passing. The times that she visited us when I was younger will always be cherished memories. Aunt Jean always had such a warm smile & big hugs every time she visited. Aunt Jean, you’ll be missed by so many & we all will remember how wonderful & special you were. Uncle Cator, you are in my thoughts & prayers during this difficult time. May God Bless you. So sorry to hear of Mrs. Browns passing she was always so pleasant and nice to me on her visits to the eye clinic . I will miss seeing her. by Tony &Doreen & Tiffany Roberts. Cator and family: So sorry to hear of Jean’s passing. The last time we saw you both was at the Brier in St. John’s last year and, of course, we all couldn’t stop talking about the good years and “good times” in Labrador City. Good neighbors – good friends – good memories. We won’t soon forget her. Our thoughts and prayers are with you all at this sad time. God Bless. So sad to hear of Jean’s passing a Dear Sister, Sister in law and Aunt. May your family be comforted as you hold the memories of the good times you shared together in your hearts. Our thoughts and prayers are with you. May God bless you during this difficult time and give you peace. So sorry to hear the very sad news of Jean’s passing. Please accept our sincere condolences and know that our thoughts and prayers are with you. May your memories of a lifetime of happiness bring you comfort during this difficult time. So sorry to hear of Jean’s Passing. It was a blessing to have known her. Our thoughts and prayers are with you. May God comfort you and give you peace during this difficult time. So sorry to hear of Jean’s passing.Thinking of you all at this sad time.May your memories bring comfort and peace. Cater and family, as well as extended family. Sorry to hear of Jeans passing. 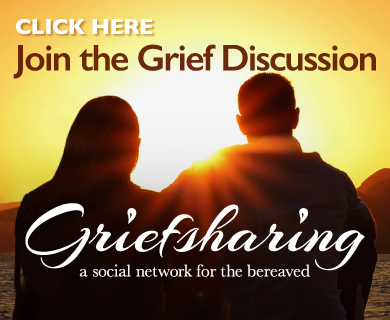 May the precious memories of your loved one bring you comfort at this difficuult time. So sorry to know of Jean’s passing. My thoughts and prayers are with you at this time. So sorry Cator, we have such good memories of sharing food, cards and great chats. So sorry for your loss. Thinking of all the family at this sad time. She was a sweet lady. Our thoughts and prayers are with you all at this very difficult time. God bless jean. You were such a happy and energetic soul jean. Love Jason, chantal, Jordan and Madison Cadzow. So sorry to hear of Aunt Jeans passing.